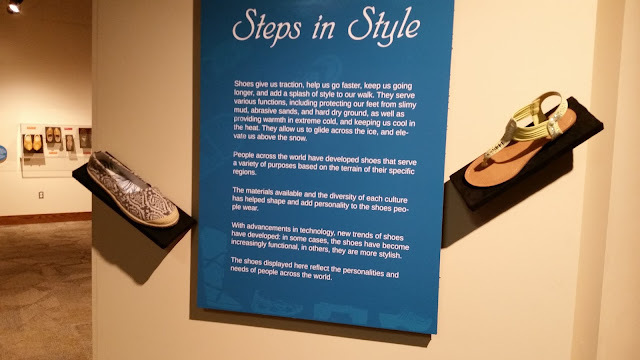 When Rosslyn and I went to the Museum of Peoples and Cultures, they had a second exhibit where shoes were on display and analyzed. Enjoy your mini-walk through! Rosslyn and I went to a museum for one of her classes. She's been swamped so I wanted to come along so she could enjoy her assignment instead of just slogging through it. 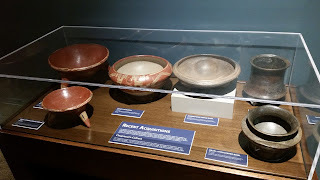 Click on the pictures to see a larger size, but enjoy our trip to see an exhibit about the Ancient Andeans and their textiles!